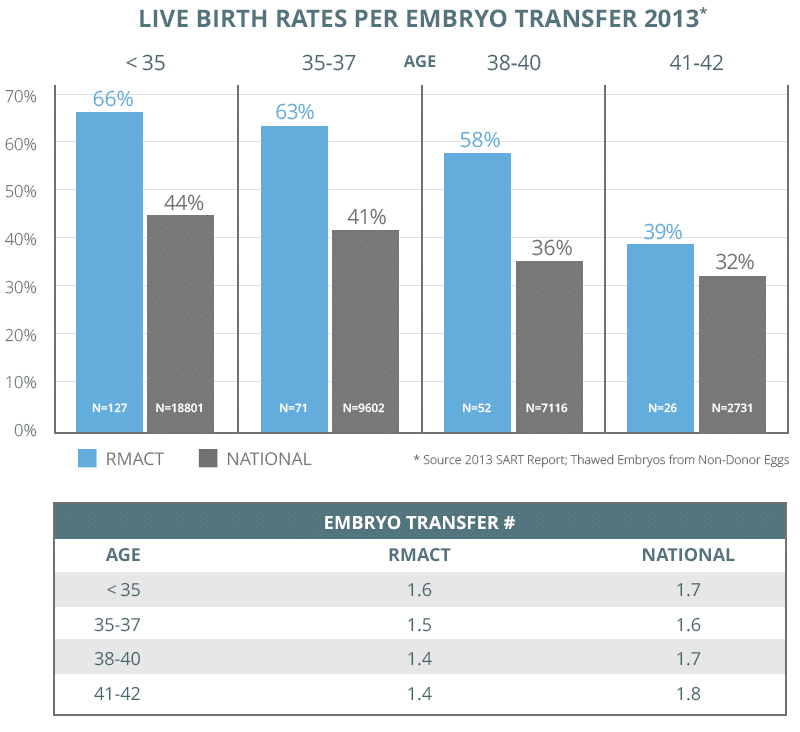 These statistics represent outcomes for patients who have undergone embryo transfer. The percentages are calculated by dividing the number of women who achieved a clinical pregnancy (numerator) by the total number who underwent a transfer (denominator) from January 1, 2013 to December 31, 2013. Please keep in mind that a variety of individual factors may increase or decrease your likelihood of having a baby. Learn more about the IVF procedure. Choosing a quality fertility center is essential to having a successful outcome. 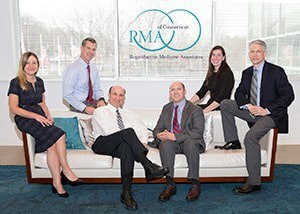 At Reproductive Medicine Associates of Connecticut (RMACT), we’re all about quality treatment and quality outcomes. RMACT receives the highest quality designation by major health plans in Connecticut. In addition, RMACT is one of just 11 leading In Vitro Fertilization (IVF) centers nationwide chosen by In Vitro Sciences to participate in its Centers of Excellence program. RMACT has also been named a Center of Excellence for its infertility program by health services leader, Optum. Our CT doctors are board certified infertility specialists in Reproductive Endocrinology, Infertility, Obstetrics, and Gynecology.